From the very beginning, Adam’s relationship with God was dependent on faith and obedience to God’s word as absolute truth. God the Creator calls man to love and worship him out of faith and obedience. 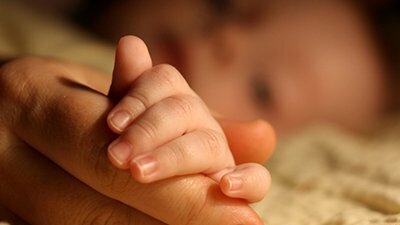 First and foremost, God is Creator, as established in Genesis chapters 1 and 2 . In the New Testament ( Matthew 19:4–5 ), Jesus refers back to Genesis, thus establishing its inerrancy and authority. Paul also emphasizes the parallel between Adam and Jesus’ history, thus establishing Genesis as a real space-time event. From the very beginning, Adam’s relationship with God was dependent on faith and obedience to God’s word as absolute truth. This was the governing principle in Adam’s relationship to God in Eden. Adam was instructed not to eat from the tree of knowledge of good and evil ( Genesis 2:16–17 ). Adam had to make a conscious, deliberate choice to trust and obey, or to disbelieve and disobey the Creator. At the point of disobedience (the Fall), man moved away from the Creator’s standard of truth and substituted his own standard. The Fall was a rejection of the Creator’s Word as truth. Man began to base truth on himself. As a result, death came into the universe. Adam was not created to die; death was an intrusion! Adam’s willful disobedience resulted in paradise lost with the introduction of pain, suffering and death. Scripture is abundantly clear that there was no death and suffering until after Adam’s transgression. But God so loved the world that He gave His only Son as a ransom to purchase back what Adam forfeited. “Therefore, just as sin entered the world through one man, and death through sin, and in this way death came to all men, because all sinned . . .” ( Romans 5:12 ) Scripture’s indictment: In Adam’s fall, sin gained entrance into humankind. And what are the results? All men are guilty; all are sinners; in Adam we all die! All are under the judgment of God. But God so loved the world that He gave His only Son as a ransom to purchase back what Adam forfeited. “For since death came through a man, the resurrection of the dead comes also through a man. For as in Adam all die, so in Christ all will be made alive. . . . The first man Adam became a living being, the last Adam, a life-giving spirit. The first man was of the dust of the earth, the second man from heaven.” ( 1 Corinthians 15:21–22; 15:45–47 ). Paul recognized an interesting parallel, as well as contrast, between Adam and Jesus. Adam was created immortal and was to be God’s representative and steward on the earth, to fulfill the divine purpose. World dominion was granted to him. He was commissioned to subdue the earth. The Last Adam implies that there would not be a third representative man, sinless, as were both Christ and Adam. What can heal the wounded soul; What can make us white as snow? What can fill the emptiness; What can mend our brokenness? Mighty is the power of the cross! Dr. Bill Greenhaw has been a practicing dentist for 35 years in Artesia, New Mexico. He has an undergraduate degree in biology as well as a D.D.S. degree. Having been indoctrinated in evolution throughout the education process, Bill was an agnostic and evolutionist in 1972 when he first began dental practice. 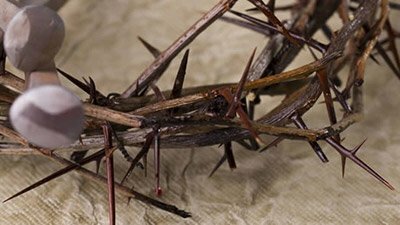 In 1974, Bill received Jesus Christ as his Lord and, through Bible study, recognized the total incompatibility with the evolutionary mindset. Bill then read Dr. Henry Morris’s book, The Biblical Basis for Modern Science. This book changed his understanding about the nature of science as well as the Bible, and he became a strong Bible-believing Christian after reading and studying this and other creationist literature. Dr. Greenhaw first became acquainted with AiG President Ken Ham after reading his articles for the Institute for Creation Research. He now is an enthusiastic supporter of AiG and the Creation Museum. 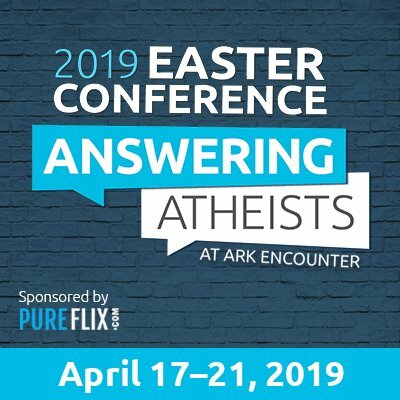 Bill has a strong passion for the creation message and has written articles for the local newspaper in New Mexico, as well as sponsoring the Answers radio program on Artesia's local secular station. This article originally appeared in his local paper, and is being posted here with permission and has been slightly edited. Did Others Know What Was to Come? Did Mary Know What Was to Come? 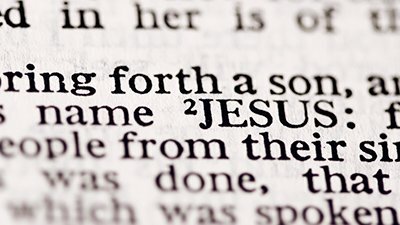 What Is the Significance of the Name “Jesus”?